Living up North. What are the perks? Please feel free to ask us about any of our services. We will respond to your enquiries within 24 hours! Blog >> Living up North. What are the perks? The famous saying states that it's ‘grim up North’, but would a current resident in the North of England really stand by that statement? No chance! In recent years Manchester has been pronounced the best place to live in the UK. Beating London, the Economist Intelligence Unit’s Liveability Survey for 2015 placed manchester 46th out of 100 of the best cities In the World. Manchester boasts excellent standards in the areas of education, retail, living expenses, property and much more. So wouldn’t it be worth move to Manchester? With a current £56 billion value, Manchester continues to attract attention from all around the world. It is a city that can promise you culture and diversity in every aspect as well as masses of award winning restaurants and entertainment venues. But what can you expect from properties and houses to rent within the city? You are guaranteed to find the perfect property for you ranging from low to high expenses depending on your personal budget. The average rent in Manchester comes to around £560 per month which is over half the average rent of London, which totals to a huge £1,500. With living expenses being so low, you may also want to know what you can expect to do with your time once you live in Manchester. One of the city’s major landmarks is Old Trafford, the home of Manchester United, the World's biggest football club. Why not make your way down to the stadium and enjoy a tour or a weekend football match? Manchester also offers hundreds of bars and clubs located in the likes of The Printworks, Deansgate Locks and the Gay Village. If you fancy a day of culture, there are plenty of museums and galleries to choose from such as the Science and Industry museum, the Lowry and Manchester Art Gallery. Now you know a little more about the city itself, is it time to think about renting an apartment or property? There is a huge demand for accommodation and it may be a wise idea to join that list! Call one of our agents now and arrange a viewing of one of the many properties available to suit any budget. LANDLORDS! We Advertise Your Properties on all the Major Lettings Websites! 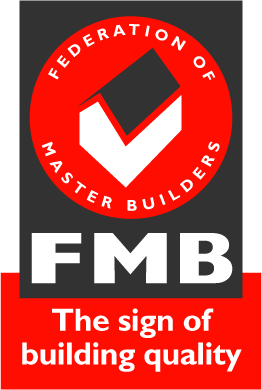 Please note that we are now accredited with – Federation of Master Builders.